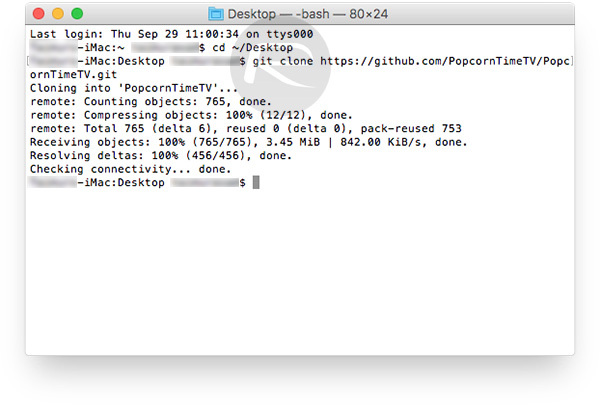 Here’s a guide on how to sideload install Popcorn Time app on tvOS for Apple TV 4. No jailbreak is required to get this working on Apple’s set-top box. 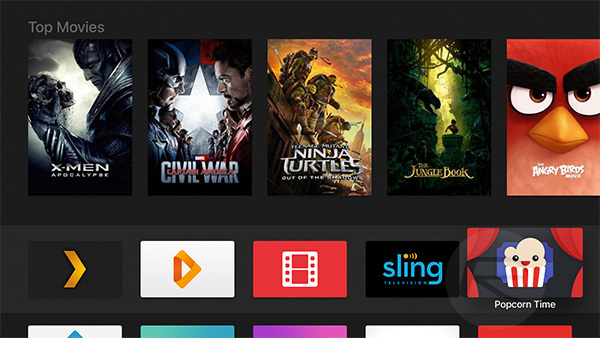 If you’ve been looking for an Apple TV app that allows the streaming of TV shows and movies without having to go through some of the most “official” channels or services, then the Popcorn Time solution could be just what you’re after. Access to an Apple Developer Account. Free account will do as well but it’s important to note that sideloaded app signed using a free developer account will need to be re-sideloaded after every 7 days. If you have a full account though, this 7-day limit will be raised to 1-year for re-sideloading. To register for an Apple Developer Account, visit developer.apple.com. Access to a Mac running El Capitan or higher. macOS Sierra is supported. Xcode 8.0 or higher. Xcode can be downloaded for free from the Mac App Store. tvOS 9.2+ installed on Apple TV. tvOS 10 is supported. A USB Type-C to USB Type-A cable for compiling and sideloading it to Apple TV. We recommend getting this one from Amazon here as we have tested and can confirm that it works with Apple TV 4. Step 4: Now open the PopcornTimeTV folder on your Desktop. Remember, this is where you cloned the repository. If you changed the location in the original download command, then you’ll need to navigate to that folder instead. Find the PopcornTime.xcworkspace file. Double-click to launch in Xcode. Step 5: In Xcode, from the left sidebar under Targets, select PopcornTime and then click on the General tab. In Identity, you should now see a field that is titled Bundle Identifier. In the text field to the right of that title, change the text to “com.[YOURNAME].PopcornTime”. Make sure to replace the placeholder [YOURNAME] with, well, your name. In the screenshot shown below, we have entered “com.pct.PopcornTime” with pct being short for “Popcorn Time”. Step 6: Now select TopShelf under Targets and then repeat the process from above with the Bundle Identifier for the TopShelf target, but with the addition of “.TopShelf” on the end, so it should be com.[YOURNAME].PopcornTime.TopShelf. Make sure [YOURNAME] is same for both Step 5 above and this step. Step 7: Under General Tab in Identity, click on the dropdown box next to Team and sign in using your Developer Account’s Apple ID. Do this for both PopcornTime and TopShelf in Targets. Step 8: Now connect your Apple TV to the Mac using USB Type-C cable. Hit CMD + R in Xcode to compile and run the project to the connected device. Alternatively simply hit, the Play button on the toolbar to begin the compilation. That’s it! 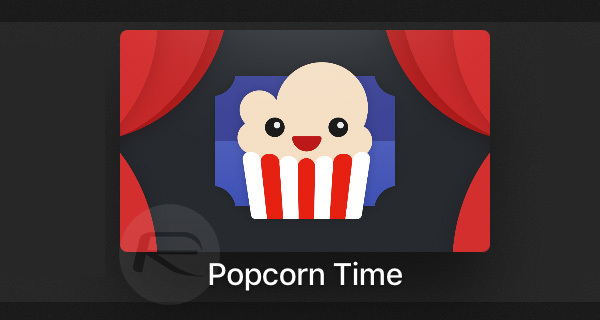 You can now get back to your Apple TV where Popcorn Time app will be sitting neatly on the tvOS home screen. Alternatively, in case you can’t get the above to work, you can directly sideload the already-compiled .IPA file of Popcorn Time app to your Apple TV. To do this, simply download it from here, then sign it using your Apple ID, and sideload it using Xcode. Instructions for signing the IPA file and sideloading this way are similar to our previous guide on how to sideload Kodi on Apple TV. You can follow it all here: How To Sideload Kodi On iOS Without Jailbreak [Tutorial]. It’s important to note that compiling the code yourself is the recommended method of installing Popcorn Time on Apple TV because not only it’s the best and safest way of doing it, but it also gives you the latest version of Popcorn Time app for Apple TV. Why would @Redmondpie advertise for a piracy service like this? You guys are helping people to illegally stream pirated movies? Lol … wtf!!! Are you on El Cap or higher? What about the new security function that prevents you from modifying system files called Rootless. This causes issues with installing cocoapods the way your showing us. Is what works for me. Do you have Xcode installed? Just checked. Not working ….I installed the ipa instead but I it won’t start on the ATV. Any news about it? I’m trying again late tonight. i am the same way, some updates? It compiled to me. I was able to use it normally. But without English subtitles (it’s a known bug they are trying to fix). Now it stopped opening, but I think I just need to recompile it. Try to delete everything and redownload. 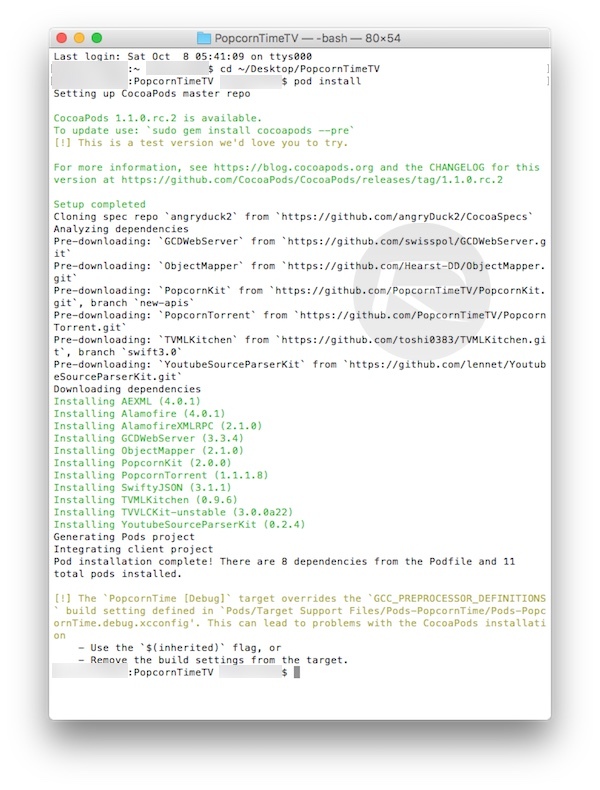 There’s a command pod update or something like that that helps you updating the dependencies. and how did you manage to install it? I can’t from Xcode 7.x, with Xcode 8.x? Yes, all new software. Xcode 8 (downloaded from App Store), with Swift3 etc. Try to redo all tutorial after deleting everything previously downloaded. I’ll try to reencode today and check whether it still works. Thanks Gus! It works perfectly. The only thing as you said there is no subtitles, what a pitty. Also if i try to go forward it crashes and return to the screen where you can press “Play”, so no option to navigate thru the movie. Also happens this with yours?? Yes! And I can’t find the Subtitles menu. Could you? Am I right in thinking with a free Apple account you have to re-sign and install every 7 days? can you sent me a download link.. i’m not able to compile it.. I have the same question..
Its your Mac OS X Administrator password. how do we know if an updated version of popcorn time is available? Did all as mentioned. But when i open the file ” popcorntime.xworkspace ” in xcode, i dont see the targets option.